One of the cool new features in Low Carb Menu Planner allows you to view macronutrient information for a selected recipe serving size. I found this recipe, which looks really delicious. I wanted to add it to LCMP so I could build it into my daily menus. Also, by adding it to LCMP, I can even adjust the ingredients to customize it to my tastes and preferences. 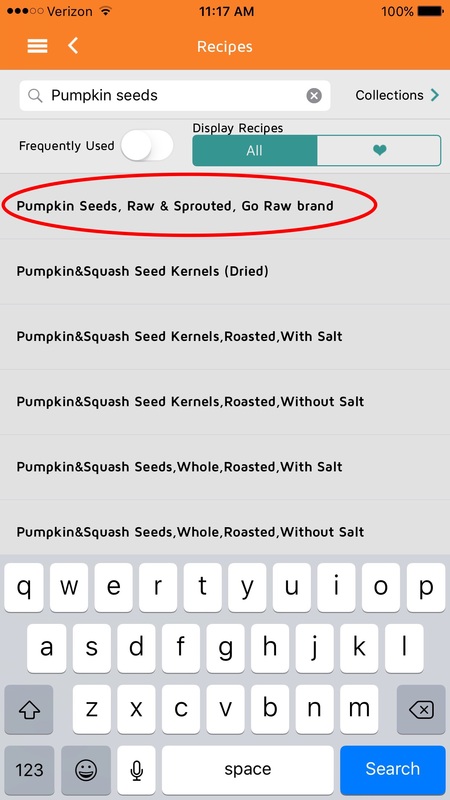 For example, I like to use raw sprouted pumpkin seeds rather than “pumpkin seeds”, so I added those. Note: we recently added this food item to the database, so you can access it too! And sometimes, one serving is too much (or not enough!). Once I easily added the recipe, I simply adjusted the serving size to view the corresponding information. This entry was posted in App, Habits, Meal Plan, Updates, Weight Loss. Bookmark the permalink. 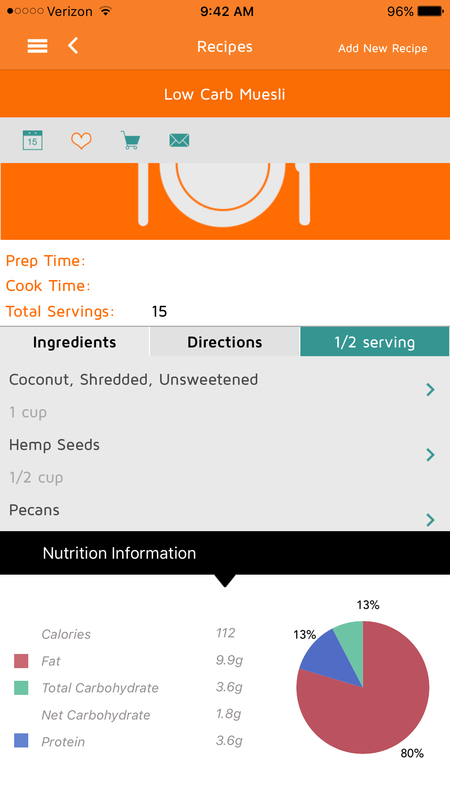 ← Low Carb Menu Planner Back in the App Store!